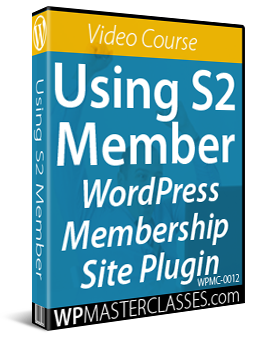 This is Part 7 of our tutorial series on building a membership site with WordPress. In Part 6, we looked at membership pricing and explored different pricing models for your membership site. In this tutorial, we provide useful tips to ensure that your membership site can continue to grow and is able to service its members. Regardless of your membership’s format or overall focus, there are a number of things that you need to focus on in order to ensure that your community continues to grow, and that your membership site is able to retain its momentum. Customer service is the cornerstone of a successful membership-based site. Respond quickly to customer concerns, announce any issues or changes that will occur to the membership ASAP so as to avoid surprises for your customers, and continually ask for customer feedback. Unless your membership is based on a fixed term format, where your subscription ends after a specific time, you will want to ensure that your membership site always offers fresh content that is updated on a scheduled basis. It’s critical that you design an update schedule and content management system so that your subscribers know when to expect updates, and that you are able to effectively manage your entire community. Consider breaking up longer e-books into mini-reports, or a series of action plans. 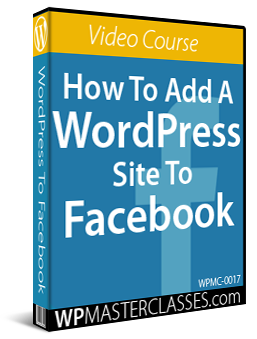 Not only will this add more content to your website but your subscribers will find it easier to digest. Besides, it will also make your content inventory appear to be more extensive. You want your own proprietary content and products. If you are planning to use private label, resell rights or master resell rights content, try to use it as filler material, or as bonuses rather than your primary content. You don’t want your subscribers to be able to easily find the same content anywhere else. You need to be able to stay in constant communication with your subscribers, and to be able to develop and grow your community on a regular basis. Don’t become fixated only one on topic, but instead, focus on scalable markets where you can create additional modules, updates and upgrades that are available only to subscribers. Consider offering your material in various different formats as well. For example, if your primary product line consists of e-book products, consider creating video tutorials that compliment your product line. Offer them as upgrades or enhancements to a subscriber’s regular package. 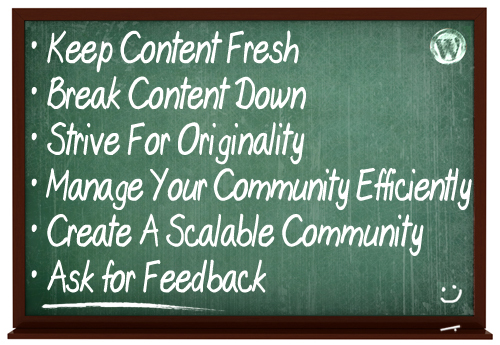 Don’t be afraid to ask your community what they are interested in or how you can improve your site. Ask for honest feedback and take all customer feedback you receive seriously. Make them feel a part of your community by surveying them, allowing them to control the type of content and updates that you create, and focusing on what your subscribers are truly interested in as well as their varying levels and skills. You want to do your best to accommodate all of the different subscribers you will encounter, from new ones to seasoned ones. Inventorying your subscribers will provide you with the insight you need to ensure your website is a success. Adding survey forms to your member’s area is a great way to collect customer feedback. There are a number of different ways to maximize your overall profits and enhance your subscribers experience, as being part of your community. Give your subscribers a reason to promote your website by offering joint venture partners a Charter membership to your website. 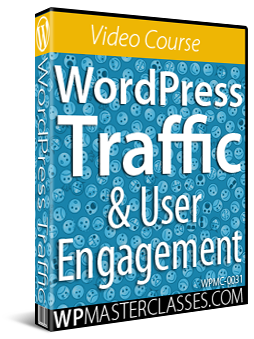 Offer them special bonuses, downloads – just to jump-start your website. It will provide immediate relief of that initial start up phase and allow you to determine what your members think about your content, with a soft launch before you go all out. This is also a great way to beta test the system for bugs, errors, broken links or problems with navigation or downloading products and content. If you offer them a special deal if they join annually you want to make sure that they are receiving a significant discount. You want to focus on yearly memberships because that way your members are locked in. The only downfall is that people tend to forget that they joined and when you rebill them yearly, they may end up challenging the charge with their credit card companies, simply because they may not remember where or when they signed up. Certain membership sites will charge their customers a one time access fee, and then a monthly fee thereafter. For example, offer them the opportunity to pay $97 to join, with $29.95 every month thereafter. If going with this kind of set up, you’ll need to provide at least three times the value of the initial payment, in this case $97.00 – and then update your content regularly enough to justify an ongoing fee of $29.95 monthly. A huge benefit to charging a registration fee is it will lot longer retention rate for your members. Your cancellation rate will be much lower since people don’t want to have to pay the initial registration fee again. Useful Tip: “Repurposing” your content allows you to multiply and expand your product offering with minimum effort involved. Essentially, repurposing means taking content created in one format and reformatting it into completely different products. Also, be sure to record everything you do. If you give an interview, host a conference call, conduct a workshop, training, whatever it is – always record it. This material can then be used as bonus products, or featured as an upsell or backend upgrade. Overdelivering is the key to forming solid, profitable relationships with your subscribers. 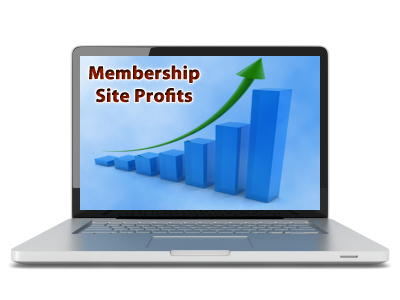 Membership sites are one of the most popular and profitable business models online. There are various types of membership sites, and membership sites on many different niches, but one of the most common are those that offer products with private label rights (also known as PLR). When a product has private label rights, the user usually has more control over these. There may still be restrictions imposed by the original seller (such as users not being able to resell the private label rights, only the product). 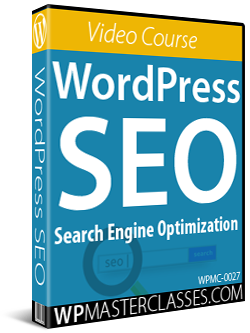 Despite such restrictions, many PLR products can be modified quite considerably, and most will allow you to put your name on these as the author. So, how can you create a great PLR membership site? First of all, you need to provide a “complete” turnkey package. 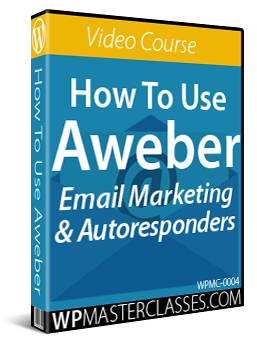 Your members will want everything to be as easy and as automated as possible. That means giving them all the products, tools, techniques, and guidance they need; the only thing they have to do is follow the simple instructions you will provide to help them set everything up and start making money. Typical PLR products sold in membership sites are reports or e-books. Including media files, such as audios or videos are great, as these types of products have a higher perceived value. 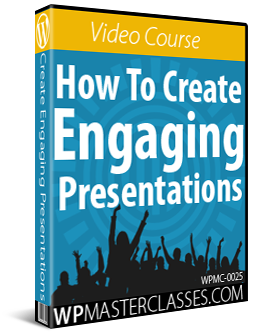 You could even offer a combination of e-books, audios, and videos (plus transcripts and graphic images) to make your PLR products stand out even more. Before you create anything, make sure that the products you plan to create are in high demand or saleable in the marketplace. That’s why it’s vital to do your market research beforehand, so you can provide your members with quality products that they can make money with. Most copywriters charge thousands of dollars for a quality sales letter. So, providing members with great sales copy for the products (along with all the other benefits they get), in exchange for the low price of their monthly membership fee, is a great deal. The sales letter must be accompanied by eye-catching graphics. We recommend giving members the PSD files, so they can make changes to the graphics themselves. The graphic pack could include the product cover, header, footer, order button and background graphics. There are many tools you can provide to help your members promote the products. For example, you could give them articles to post on their site or blog (or rewrite to post on content-sharing sites); these articles would warm up and presell the main products to their prospects. 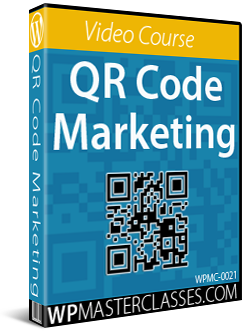 You can also create promo videos for the products and include the source code and transcripts (so they can add their own branded cover image, and re-record the video in their own voice). 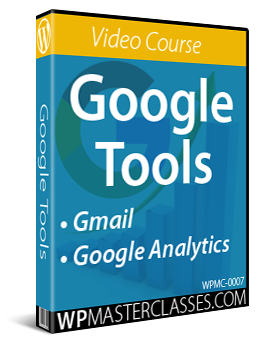 Additionally, you can research the most profitable keywords your members could use to promote the products via Google Adwords or PPC (Pay-Per-Click Advertising). 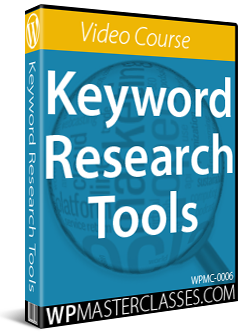 These keywords can then be inserted into the title and content of articles they will write, helping them rank higher in the search engines for these highly searched keywords. Finally, you should also consider providing them with promotional email messages, banners, classified ads, and sample signature lines so your members can instantly promote the products – or have their affiliates use them for promotion. Be aware that you don’t have to create everything. In fact, you may want to outsource aspects of your product creation process, so you can focus more of your time on marketing your membership site. 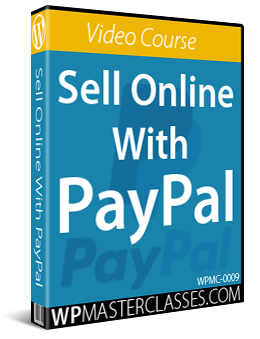 Since some members may not know how to start, they need a guide to show them how to set up and sell your PLR products. You could create step-by-step instruction guides in PDF format, or provide instructional videos on how to choose a domain name, set up a hosting account, upload the files, and how to promote and make money from the products. Master Resale Rights (MRR) products are different from PLR products. MRR products typically allow you to legally sell the product plus the resell rights to others. Your customers can then also sell the product to others if you choose to let them have resell rights, as long as they agree to follow the rules, which may include a minimum price products can be sold for, or a policy where they can’t change the content. There are many products with master resale rights that you can buy and resell on your membership site. Just type “master resale rights” (or “master resell rights”) into Google and go through the search results. As well as the products being offered by your membership site, your members might want to promote other products related to your niche. You can research various Affiliate Programs that are proven to sell well and recommend these to your members. You can also give your members discount on other merchants’ products as their membership privilege. Simply contact other vendors and ask them to give your members a discount – the bigger, the better. Most of them will agree to your request, as this means free promotion and permanent exposure for their products. Set up a periodic contest or draw. Give cash prizes, free products or even one-on-one coaching to the winner. This can incentivize members to continue their membership. You can provide even more unique and valuable content to your members by interviewing experts in your niche, then posting these exclusive interviews inside the membership area. For example, go to a site like http://rtir.com and you will find experts that you can contact for a potential interview. The interview could be recorded and transcribed, and then posted or given to members. The experts you interview benefit from the additional exposure they receive through you, and by having their products or services promoted during the interview. Hopefully, the above has given you plenty of useful tips and ideas for starting or growing your membership site. In our next tutorial, we look at useful membership site tools and resources.